A beautiful bouquet of roses is what comes to mind when describing the arrangement of talent that was involved in making these films. The best advice I can give you is to make these events a part of your experience. Here are some Q & A selects from “A Ballerina’s Tale” directed by Nelson George, produced by Leslie Norville and “Shame” directed by Paul Hunter and produced by Denzel Washington. (Right to Left) DirectorNelson George, Misty Copeland, Raven Wilkinson . Misty is The first African-American woman to be given the title of Principal Dancer for a major ballet company. Raven is the first African-American woman to receive a contract to dance full time with a major ballet company. I would be remiss if I did not get to meet the living legend, Raven Wilkinson and let her know how much of an inspiration she will always be. To learn more about her, feel free to a search online. 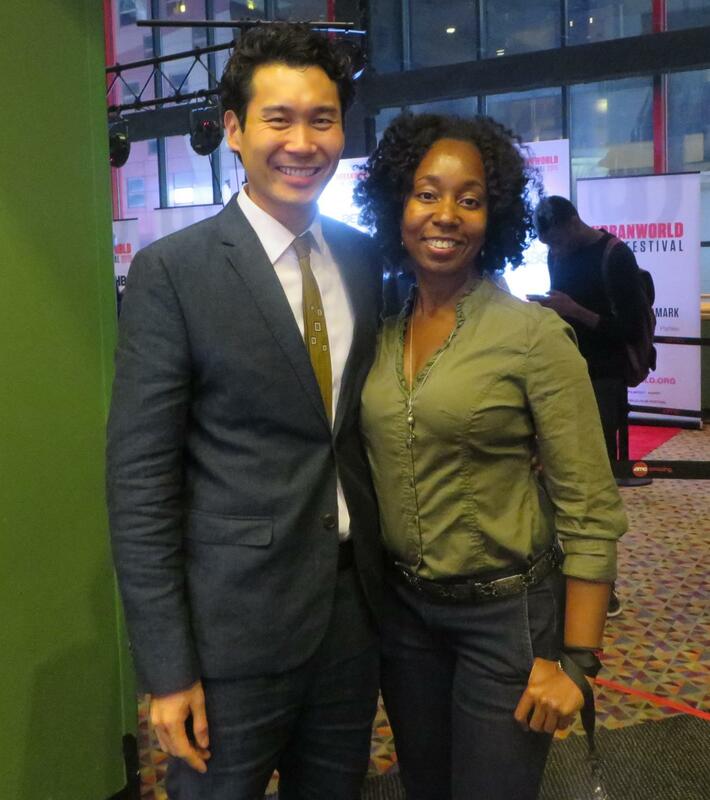 Yes, I just had to take a picture with Director/Actor Trevor Zhou who was also at the premiere. It’s awesome to see everyone supporting each other’s work. Trevor’s latest independent film short, “The Waltz”, has been selected to be included in this festival’s film premieres. The Q & A selects from “A Ballerina’s Tale” will make you feel as if you have attended this premiere. Director Nelson George takes the stage! The birth of an idea! How does she feel about her art? How did she deal with the lack of diversity? Note: Her parents are both biracial. However, she was raised with the fact that the world will view her as African-American in which she proudly identifies herself as being. What is the lifestyle of a ballerina? The Q & A selects from “Shame” will make you feel as if you were a part of the audience! How in the world did Denzel Washington get involved? Very cool inside advice from Tyrese on being successful in the industry..